What’s the Cost to Replace a Home Thermostat in Denver? The cost to replace a home thermostat in Denver ranges from $250 to $500+. Need help right away? Give us a call, and we’ll quickly send over one of our certified HVAC experts to replace your thermostat for you. Analog: Analog thermostats use bimetallic strips to gauge the temperature, which makes them fairly inaccurate (usually +/- 3° F). You can adjust the temperature and switch the thermostat from heat to cool mode using 2 small levers. 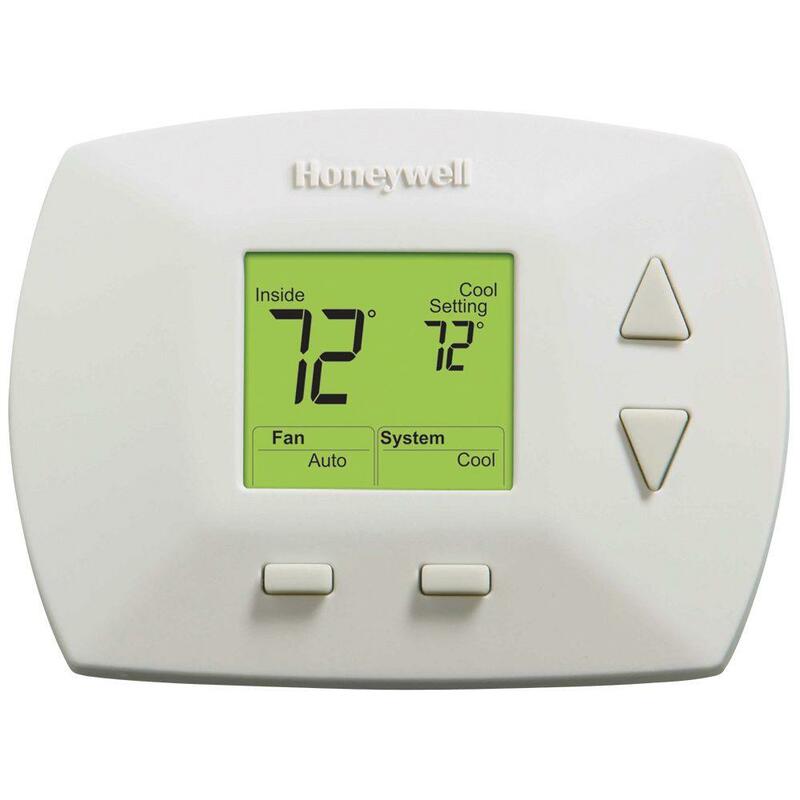 Digital: Digital thermostats are more accurate than analog manual thermostats, plus they have buttons instead of levers to adjust and control temperature. Digital thermostats are a little more expensive than analog thermostats. Programmable thermostats cost around $100 to $295 on average. The main advantage of programmable thermostats is that you can set them to follow a particular schedule, which can save you money on your energy bills. Let’s say you work 8 hours per day, 5 days a week. That’s 40 hours every week you’re out of your house, meaning you don’t need it to stay cool or warm (depending on the season) if no one is there. For example, let’s say during the summer you leave the house at 8 am and come back home at 6 pm every weekday. And you prefer the house at a cool 70° F. You can set your programmable thermostat to raise your home’s temperature to 78° right at 8 am when the home is empty. But you can also set the thermostat to lower the temperature back to 70° at 5:30 pm so that the house is nice and cool by the time you get home. In addition to a workday schedule, you can also set a programmable thermostat to adhere to a particular schedule on weekends and vacations. Smart thermostats cost $295 to $500 on average. They’re the most expensive kind of thermostat you can buy, but they’re also the best. Connectivity: Smart thermostats connect to your home’s WiFi which means you can access and control your home’s thermostat remotely via a phone, computer or tablet. Learning ability: Instead of having to manually program your thermostat to follow your desired schedules, a smart thermostat can learn your daily routine and automatically adjust itself after about 1–2 weeks of use. Most HVAC professionals charge an installation labor fee of $125 to $300. And a good rule of thumb is, the better quality the contractor, the more they’ll likely charge for their labor. Now, don’t let that deter you from hiring a quality contractor because you get what you pay for. A poorly installed thermostat could lead to HVAC problems down the road (remember: the thermostat is the brain of your heating and cooling system), so it’s better to hire a quality contractor who will do a good job. Our recommendation is to get multiple written quotes from various contractors to see how much they charge, and then check out their online reviews to gauge their customer satisfaction. Need a thermostat installed in Denver? Just give us a call or schedule an appointment online. We’ll give you a fair and honest quote and help you explore your options for a new thermostat. What’s the Best Temperature to Set My Thermostat in Winter? What Does Auxiliary Heat Mean on My Thermostat?